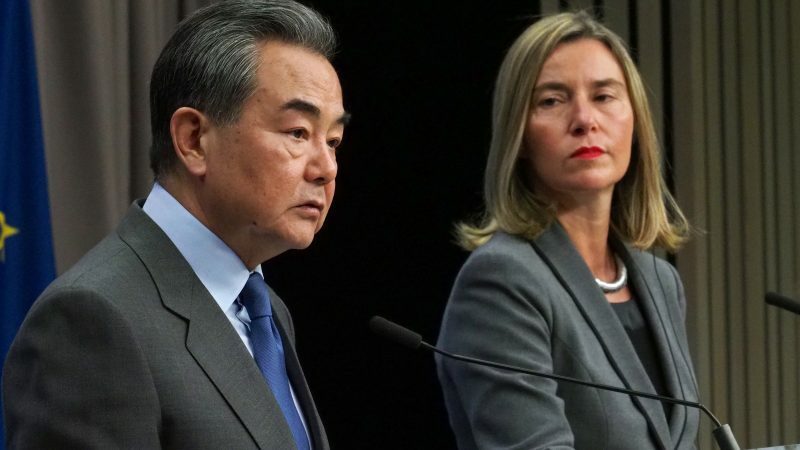 Chinese foreign affairs minister, Foreign Affairs minister Wang Yi, and EU's High Representative, Federica Mogherini, speak to reporters, on Monday (18 March). EU High Representative for Foreign Affairs and Security Federica Mogherini told reporters after a day-long discussion on China that she counted on the EU-28’s full backing. “I did not hear any reservations or criticism towards our approach”, she added. 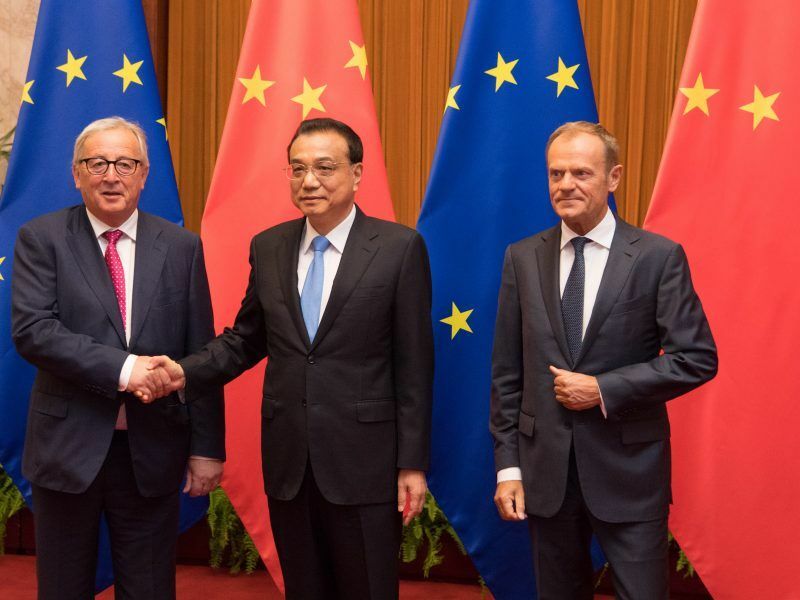 In a paper published last week, the European Commission labelled China as a cooperation and negotiating partner in some fields. But also as “an economic competitor in the pursuit of technological leadership, and a systemic rival promoting alternative models of governance”. The Council’s meeting was attended for the first time by a senior Chinese official, Foreign Affairs Minister Wang Yi, signalling a critical period in EU-China relations. 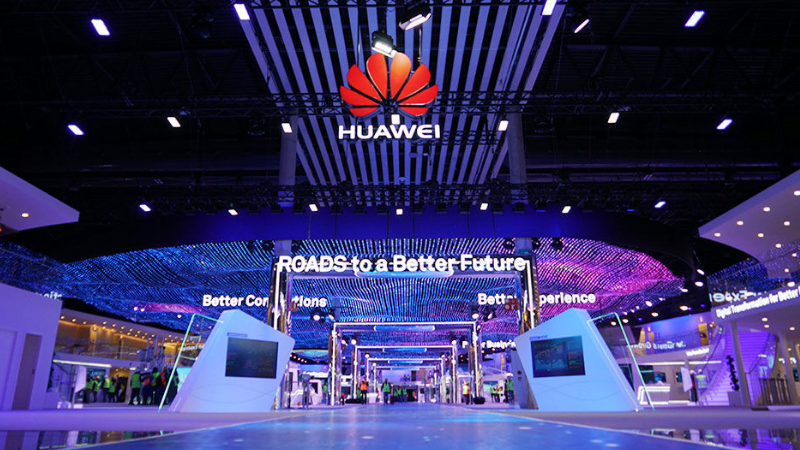 But senior EU officials and diplomats are increasingly worried about the risk of Chinese companies in Europe cooperating with their intelligence services, in particular Huawei, a leading firm in telecommunications infrastructure. Wang told the Europeans not to follow the US’s steps in excluding the Chinese firm from their markets, as some member states are considering. “What we oppose are groundless accusations for political purposes and attempts to bring down a foreign company,” he said early on Monday. “We think such practices are abnormal, immoral and have no support,” he added. 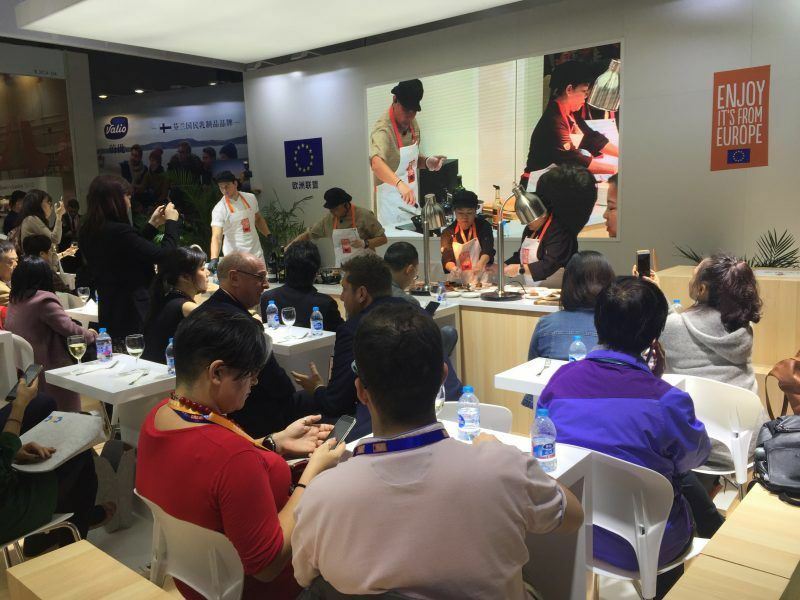 The Europeans have also voiced their complaints in regards to the restrictions their companies face to access the Chinese market and the forced transfer of technology they experience in the Asian country. Mogherini said that, during the “extremely positive and friendly” discussion, both sides identified areas “to ensure that European Union-China relations are set on a fair, respectful, balanced and mutually-beneficial course”. But despite the cordial tone, Europe is toughening its stance toward Beijing. The European Commission will propose by the end of 2019 new measures to address the negative impact of foreign subsidies and state-owned companies, according to documents made available on Wednesday (13 March), as the EU aims for a more assertive tone towards China. The 28-member-bloc already bolstered its trade defence instruments to tackle China’s subsidies. In addition, EU leaders will task the Commission later this week with proposing additional measures to address unfair practices, according to the latest draft of the summit conclusions seen by EURACTIV.com. In addition, EU leaders will call on their ministers and the Parliament to complete the talks to set up a new International Procurement Instrument. This mechanism would increase the EU’s leverage for negotiating market access with third countries. Wang recalled the recent law approved by Chinese legislators last week to open up its economy to foreign investors. However, EU officials and diplomats remain skeptic about the Chinese efforts, after years of unfulfilled promises and poor implementation. “I stop believing in the ‘Three Kings’ long time ago”, said a diplomat. Market access and restrictions will be one of the main issues for the bilateral summit to be held on 9 April. The Europeans want to agree on a set of deadlines to ensure the Chinese deliver on their promises to facilitate access to their consumers and contracts. China and the EU will “agree by summer 2019 on a set of priority market access barriers and requirements facing their operators”, reads the conclusions drafted by the EU side, and seen by Reuters. The document also sets 2020 as the goal for the bilateral investment treaty that has been under negotiation for almost a decade. The EU’s trade deficit with China slightly increased in January to 21.4 billion, from 20.8 billion a year earlier, Eurostat confirmed on Monday. 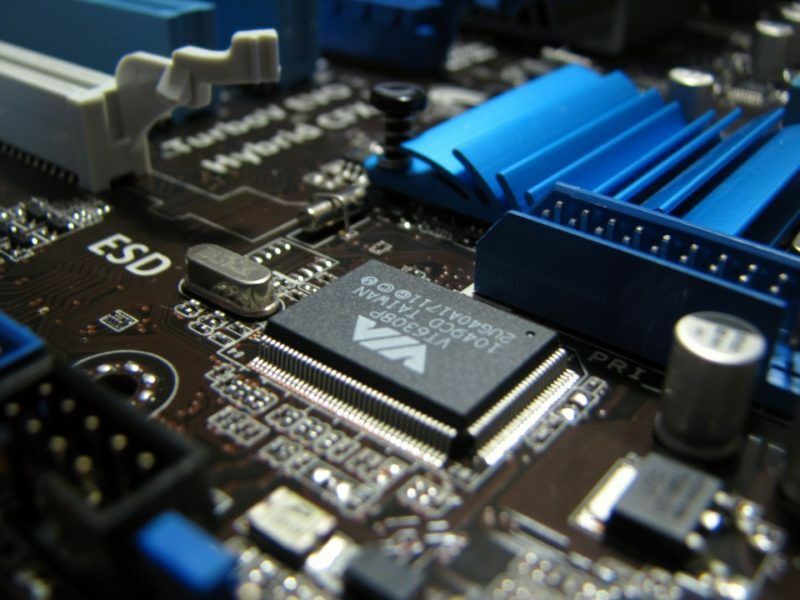 The European Parliament approved on Thursday (14 February) the proposal to screen foreign investment at EU level, clearing the path for closer monitoring of third country companies willing to invest in EU’s critical sectors. Wang admitted that both partners have “diverging views” on economy and trade. But despite competition was “unavoidable”, he highlighted that both sides have to gain more from a fair, unbiased and non-discriminatory cooperation. Both sides highlighted their cooperation on maintaining afloat the Iran nuclear deal, the fight against climate change, the implementation of the Sustainable Development Goals, and the support to a multilateral rule-based order. Mogherini also added that they are working on reforming the World Trade Organisation, and foreign affairs issues including Korea, Afghanistan and Venezuela. Wang’s landmark participation in the EU meeting comes days before Chinese president Xi Jinping embarks on a European tour that “speaks volumes to the importance of Europe” for Beijing, the Chinese diplomat said. 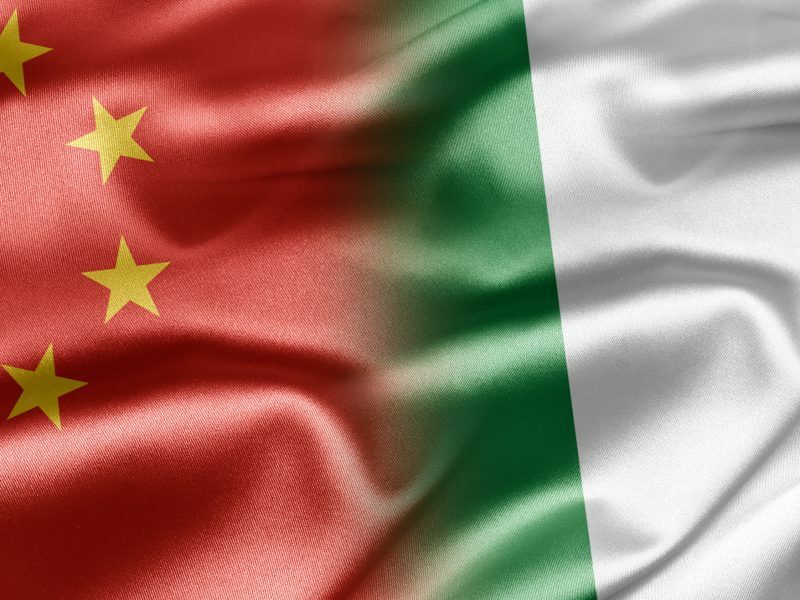 President Xi will visit later this week Italy, France and Monaco. But the plans to include Italy in its new ‘Silk Road’ and the 16+1 format involving China and European countries is seen as an effort to divide the Europeans. Mogherini responded that “if unity of the EU is always a plus, vis-à-vis China is a self-evident, self-interest of the EU member states, because none of them has the size, the impact, the power to negotiate with China on an equal footing” on trade, investment or security issues. 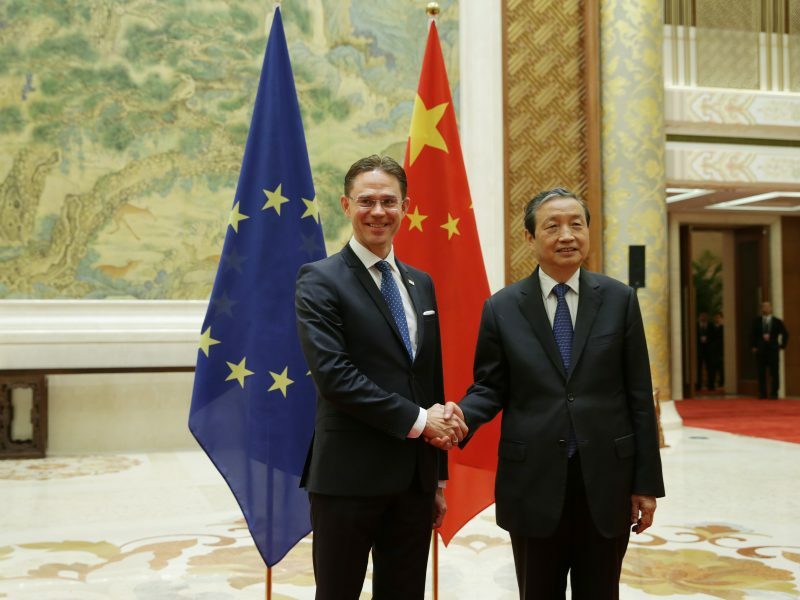 Wang replied that China “firmly supports the EU integration”, and highlighted the complementary between the massive infrastructure programme (known as “One Belt, One Road”) and the EU’s ‘Connecting Europe’ initiative to finance key infrastructures. ” But also as “an economic competitor in the pursuit of technological leadership, and a systemic rival promoting alternative models of governance”. How can one be so hypocritical? What matters to the 28 is that China is a competitor in fields of high technology. For the EU, China must keep churning out cheap underpants and shirts. So she must be stymied, and banned from purchasing firms that might give her an edge. Which is against the very principles of fair competition which the EU claims to espouse. And the pretext for doing so is that China is a “systemic rival” in governance. As if we Europeans cared about authoritarian systems — when it is good for business.